A big wedding usually only happens once in a lifetime. Writing lists, making decisions, and trying to not forget a single detail can seem overwhelming. Finding the vendors you need, asking the right questions, and making sure they are clear on what you want is a full time job. And you want to be sure the stress of it all doesn’t ruin your big day for you. 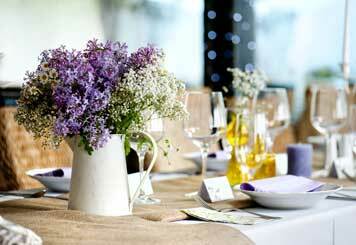 An Affair to Remember provides Wedding Coordination as well as catering services. We’ve been through this before and know who to ask about what, how long things will take, and if those tablecloths come in a deeper shade of blue. So if there’s a wedding in your future come sit down with us and tell us your dreams. We’ll help you make sure every detail that is important to you is going to be taken care of. We help you find all the items you may need to rent from tables and chairs to candelabras and dance floors. We will give you referrals for DJs, florists, photographers, limo rentals, and hair and make-up. When you decide which vendors you want to use we will help you communicate with them to make sure you are getting the items needed to fulfill your dreams. And, of course, as a caterer, we will make sure all the boxes on your food and beverage list are checked. Your wedding day is one of the most special days of your life and we want to help you make it a memorable one for you and your guests.